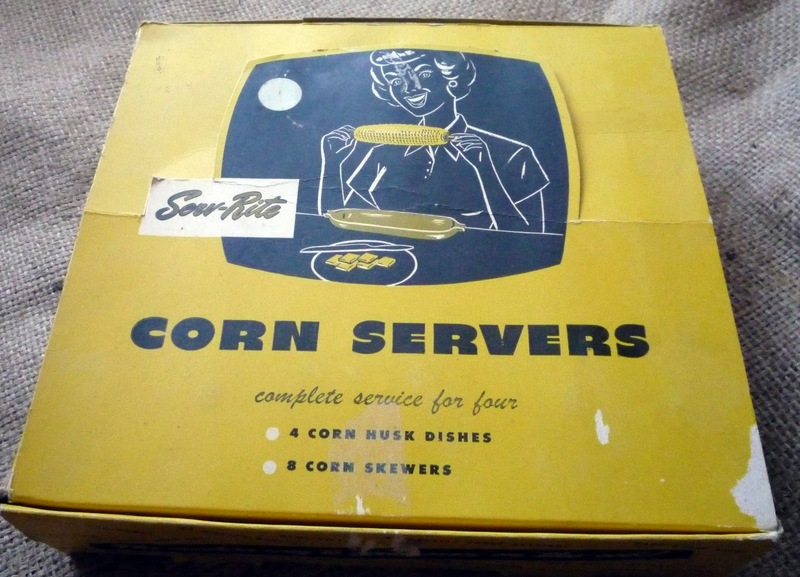 Vintage Corn Servers which is the "Modern Way to Serve Corn" according to the original box. 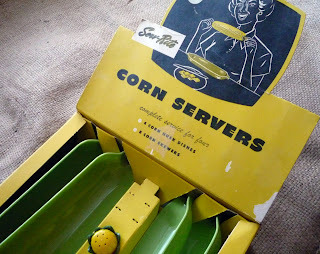 I am a sucker for kitchen equipment in the original box. A garage sale in Manitoba for 2 dollars.